A stunning once in a lifetime line-up of world-renowned artists are set to perform at the North West's biggest International Soul Festival. 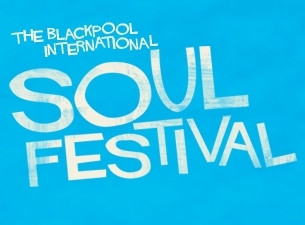 Over the three days the Festival will see an array of exclusive American Northern and Modern Soul legends take to the stage in the stunning surroundings of Blackpool Winter Gardens. To complete one of the most impressive line-ups anywhere next summer is the legendary writer and producer, H B Barnum who will be presenting a Q+A session in The Opera House. Amongst H. B. 's best known classics are Earl Wright's instrumental sensation, 'Thumb A Ride' and Judy Street's Wigan Casino anthem, 'What'.